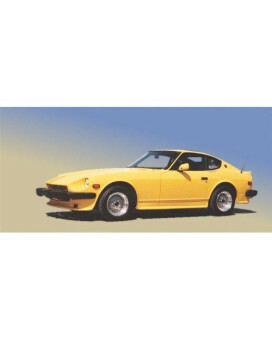 Regardless of the model of your vehicle, think about choosing high quality accessories as you shop fender flares & trim products online in USA. Besides vehicle compatibility, these are easier to install due to flexibility. You can think about the purpose of protecting paint from getting peeled off. 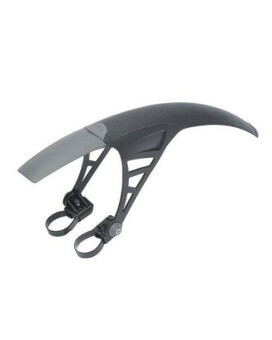 The No-Mud is the first mudguard designed to be used as either a front or rear mudguard Universal mo..
Yomikoo Mud flaps,Deluxe Molded Splash Guards Front and Rear Mud Fenders Ram mud flaps OEM For 2010.. Fit ForRAM1500 PICKUP LARAMIE 2009-2010RAM1500 PICKUP SLT 2009-2010RAM1500 PICKUP SPORT 2009-2010RAM.. This Yana Shiki Front Fenders are made out of high quality ABS Plastic and is a perfect fit OEM repl..
Smittybilt 3 inch Bolt on Flares for Corner Guards. Features : Fits 1997-06 Wrangler TJ *1-1/2 inch .. 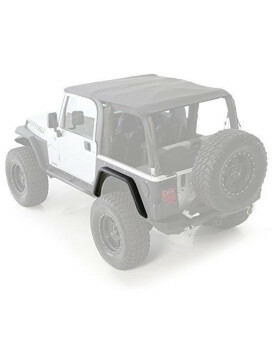 This item fits: *1997-2006 Jeep Wrangler TJ (All models) *2004-2006 Jeep Wrangler Unlimited TJ (All ..
Xenon 9070 Flat Panel Design-Fender Flare Set Front And Rear 6 in. Wide Urethane Flat Panel Design-.. This urethane flare is flexible and easy to install! Do not be fooled by imitation Flat Panel Flares..
Xenon press release announces the new 99-04 Mustang Mach 1 style front air dam. This new air dam all..
Xenon 3125 Air Dam w/Brake Ducts Urethane Air Dam Components Are Styled To Fit Your Veh..
Xenon 12621 Air DamComponents Are Styled To Fit Your Vehicle. Easily Prepped For Paint. Each Compone..
Xenon is proud to announce our New Scoop Line. Our design team has developed a Great Looking Quarter.. Ground Effects: 2005 Ford Mustang; quarter panel; scoop; left Features : Ground Effects: 2005 Ford M.. 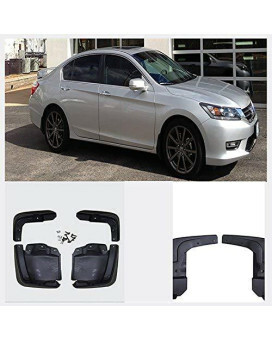 Description:An ideal replacement of your old, worn or dirty vehicle splash guards.Simple and fashion..
Viogi Set Of 4 Front &Amp; Rear Mud Flaps Guards Splash Flares+Screws+Clamps Without Flares Rear Fo..
Viogi New Set Of 4 Front &Amp; Rear Mud Flaps Guards Splash Flares+Screws+Clamps Without Flares Rea..